Initiated in 1990, Trinity is a comprehensive enterprise group engaging in the development, production and distribution of complete bicycles and bicycle components. Headquartered in Huadu District, Guangzhou, Trinity has developed a sophisticated product line featuring mountain bike, road bike, folding bike，E-bike and key bicycle components. Trinity owns a series of bicycle brands which have successfully penetrated the global market, supplying superior bicycles and riding equipment for consumers worldwide. The past decade has seen Trinity’s works marching into many countries and regions around the world and strategic bases established in Russia, Philippines, India, Iran and America. Adhering to the corporate philosophy of Kindness, Integrity, Practicality and Ambition, Trinity is dedicated to sharing the joy of riding with every individual by pursuing technology innovation. Having received numerous awards and honorary titles including “Large Taxpayer Enterprise”, “Excellent Import and Export Company”, Trinity possesses the International Quality Management System Certificate and a number of patents on frame, fork and complete bicycle design. In 1990, Trinity's predecessor, Sanhuan Hardware was founded, manufacturing mountain bicycle components. In 1995, Leonis was set up, who took the lead in producing high-end mountain bike frame and suspension parts as well as folding bike frame and equipment. In 1999, Trinity was founded, embarking on producing and selling complete bikes in the domestic market. In 2002, Trinity started exploring overseas market. In the same year, Trinity formed a joint factory with Russian company STEFYVELO. In 2006, Trinx, the self-owned brand of Trinity came into existence, marking a significant milestone of Trinity’s development. In 2014, the production facility and technology of carbon fiber frame was introduced into Trinity. Meanwhile, One Trinity, a joint venture of Trinity in Philippines was established. In 2015, Trinity achieved automatic welding of iron frame and aluminium alloy frame. At the same time, Trinity opened a factory in Iran. The construction of new Trinity Group Building was also finished. In 2016, Trinity opened another factory with Sardar Cycle in India and undertook the E-Bike Project with TSINOVA. 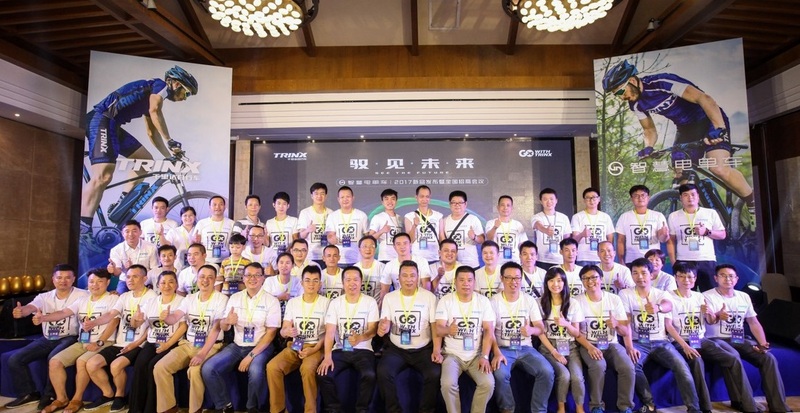 In October, Trinx carbon mountain bike V1000 participated in the crowdfunding on Jingdong Mall. It took only one day to reach the target amount 500,000 yuan. In May 2017, Trinx created a sensation on the 27th China International Bicycle & Motor Fair with its E-Bike series and bicycle customization platform iVelos. Trinity Group has a talent pool of nearly 2000 professionals who specialize in bicycle development, production and marketing. With state-of-the-art manufacturing equipment and the application of Enterprise Resource Planning, Flexible Manufacturing System and mobile internet technology, Trinity is one of the first to realize intelligent manufacture in the bicycle industry. Trinx has a skillful command of the core technology of bicycle manufacture regarding carbon fiber and aluminium frame and fork, possessing 13 world-class complete bicycle assembly lines as well as 14 painting production lines. Moreover, Trinx has successfully achieved the automation of frame painting and welding. By now, Trinx has an annual capacity of 2 million complete bicycles, 1.5 million frames and 1 million forks. In the bicycle industry, Trinx takes the initiative in developing and applying aluminium frame welding automation technology. As one of the only three bicycle factories equipped with CNAS-accredited testing center in China, the state-level bicycle testing center Trinx established in 2016 is capable of all-round complete bicycle and bicycle component testing. In 2006, Trinity established its self-owned brand TRINX who positioned itself as the first-choice brand of leisure sports bicycle featuring mountain bike, road bike, folding bike and electric bike with Youth, Vigor, Bravery as its core values. The domestic commercial network of Trinx covers over 30 provinces, cities and municipalities with more than 2000 terminal stores and 5 sales branches in North, South, East, West and Central of China, all of which maintain a strong grip of the Trinx sales channels over the country. Trinx always puts high premium on its overseas strategies. Since entering the global market in 2002, Trinx has been gaining great momentum in sales worldwide, exporting its products to countries across the world. 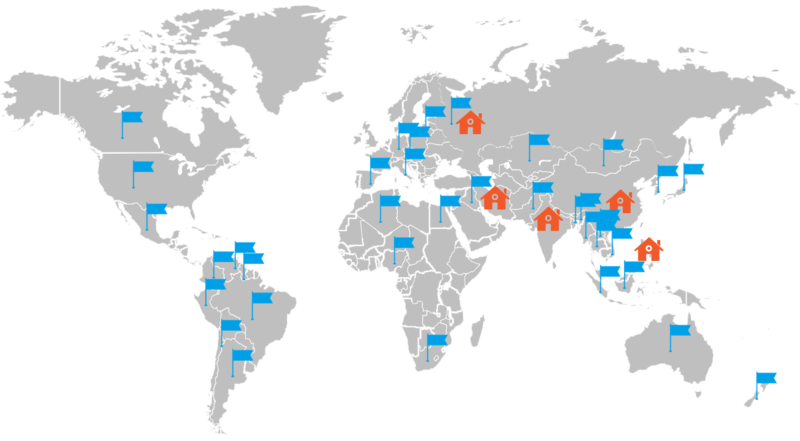 Furthermore, Trinx has set up strategic bases in Russia, India, Philippines and Iran. Trinx has created two business models, i.e. One Trinity (joint venture) and Trinx International (agent) both of which aim at constructing brand value in accordance with different situations in different countries, establishing the leading position of the target markets, and afterwards practicing the model in other markets in order to realize the global layout of capital and distribution. Philippines One Trinity Joint Venture Company was founded in 2013. In Philippines, Trinx emphasizes brand building and promotion to expand sales. After two years, Trinx has become one of the best-known bicycle brands in Philippines with an annual sales of 35,000. In Thailand, Trinx keeps in close cooperation with the local agent, committed to the establishment and expansion of brand and sales channels. After four years’ effort, Trinx’s annual sales reaches 50,000, ranking second in the Thailand bicycle market. In 2016, Trinx launched its E-Bike X1E with TSINOVA who developed the VeloUP! Smart Drive System, empowering X1E with torque sensors and automotive CAN bus technology in such a way that the smart bike was able to analyze the rider's intent and road conditions, outputting power accordingly to minimize physical effort. In 2017, the Trinx E-Bike product family welcomed its new members as X1E Lite, Sella 2.0 and Wanna 2.0 joined in. Meanwhile, Trinx bicycle customization platform iVelos came into service, which proved to be an innovative practice of the mass customization production in the bicycle industry. Once again, Trinx pioneered the industry innovation with its sharp insight and steadfast endeavor.